Lime powder, slightly hydraulic, with stone granules of variable thickness. 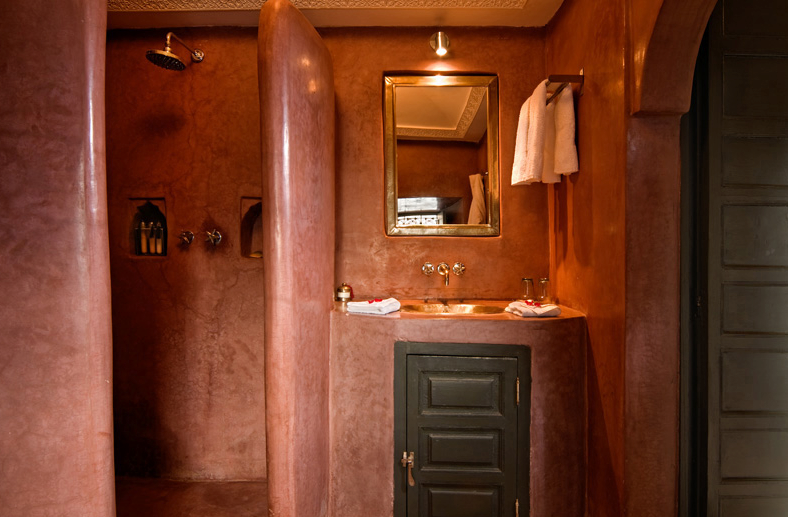 Tadelakt is a traditional Moroccan wall finish originating in the Marrakesh Region; it is found in the hammams, the Moroccan steam baths, and in the riads of Marrakesh. 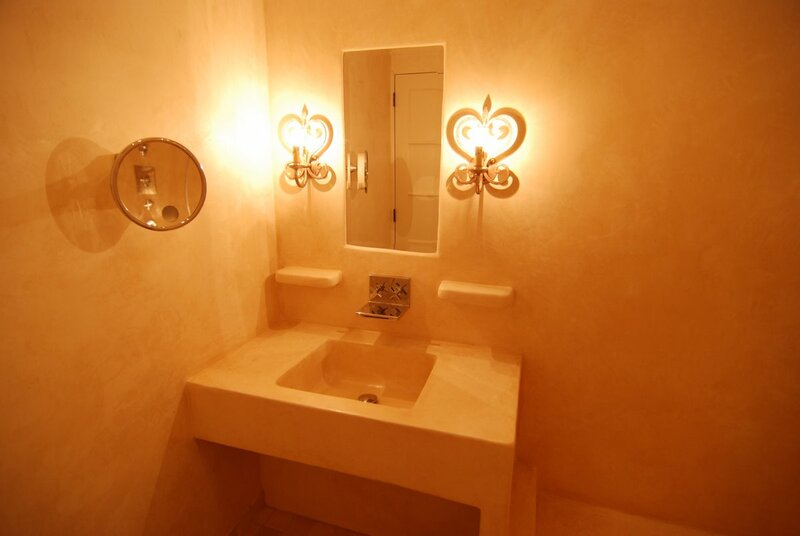 It has a smooth appearance, slightly shiny like Marmorino Carrara, but thicker and less textured. It is very durable and quite water-resistant, but breathable. Full 2.5 coat cycle for polished finish: Metric: Approximately 6-7 square meters per 18 kg bucket. U.S.: Approximately 65-75 square feet per 18 kg bucket.